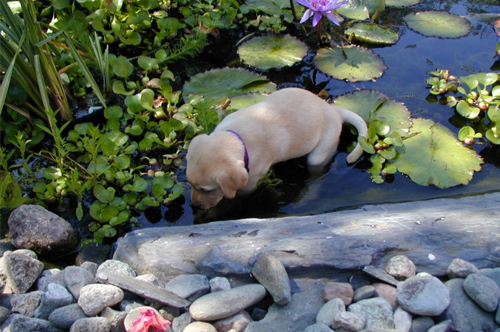 Looking for Quality Pond Supplies? Thinking about installing your first water feature? 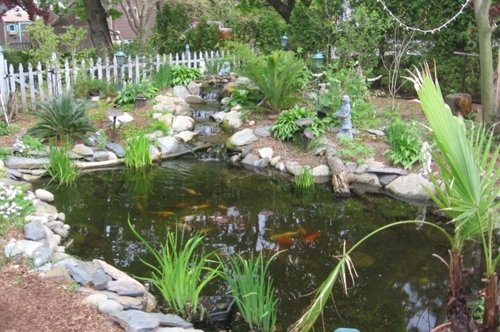 Maybe you're just looking for that perfect plant or fish to complement your existing pond. We have one of New England's largest selections of aquatic plants, fish and supplies. All of our employees are horticulturalists or horticulturalists-in-training and receive ongoing education. 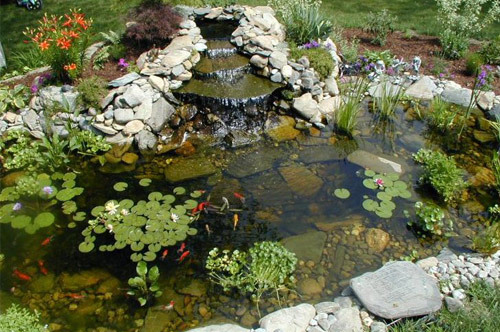 We pride ourselves on being able to quickly remedy any pond, fish, horticultural, or landscaping problem that may arise. We settle for nothing less then complete customer satisfaction and for this reason we believe it's important to get every component right. Our certified Aquascape contractors, The M.A.D. Horticulturists design and install unique water features to blend with your natural landscape. We enjoy working on projects from small to large and will work within your budget. 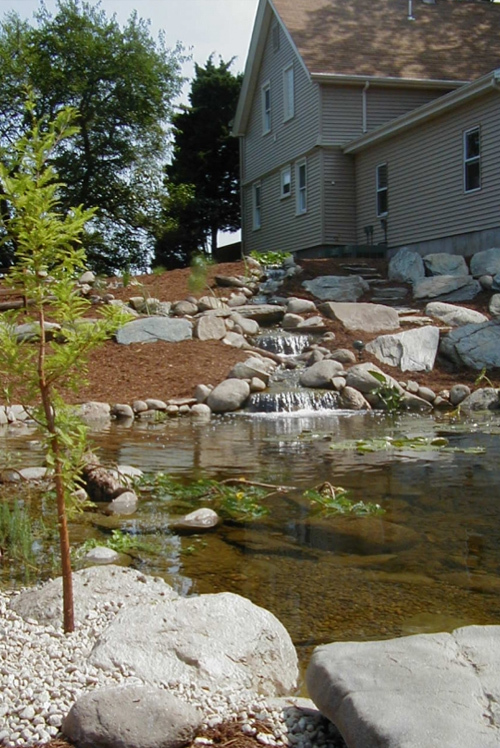 Our highly trained staff specializes in building tranquil creations such as ponds, streams, waterfalls, and pondless waterfalls... we do it all! We also offer full service maintenance on your water feature so you don't have to worry about a thing. Picture this... You're swinging in a hammock, the sound of falling water, brightly colored fish darting about while tropical plants sway in the breeze... Sounds like an exotic dream? Well stop dreaming, it can happen! You can have an affordable oasis right in your backyard! The M.A.D. 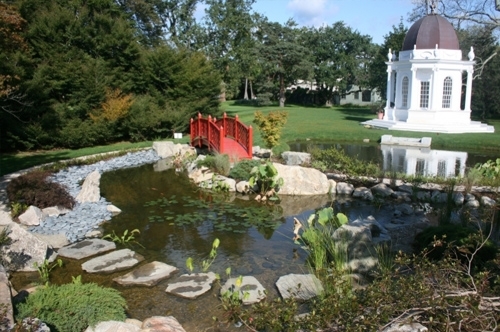 Hortilculturists receive ongoing training in the science of horticulture and the art of water gardens. 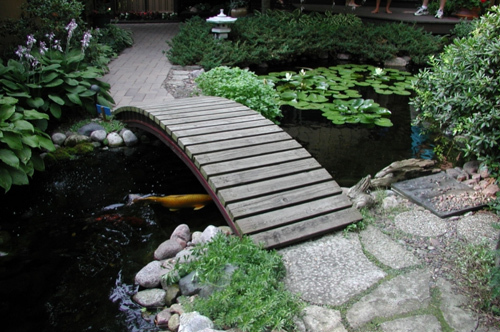 More importantly they are passionate about designing and building the perfect pond or garden. 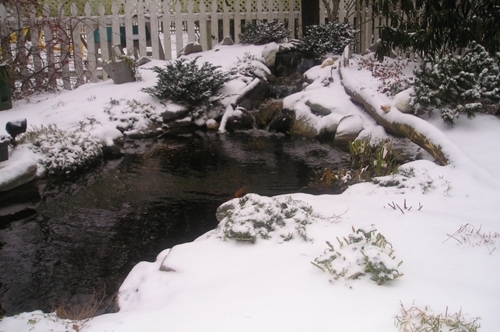 You can immerse yourself in the role of pond keeper or have us maintain it for you. Our store carries everything you need to enjoy and expand your aquatic creation. View our Gallery below and be sure to visit our Facebook page for more pictures! The first Domina's Aquascape pond. 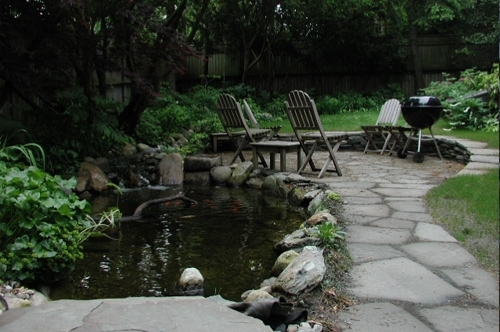 Enjoy a pond in your very own backyard. Grilling by the pond--the best relaxation. An amazing walkway of your very own. Daisy playing in the pond. 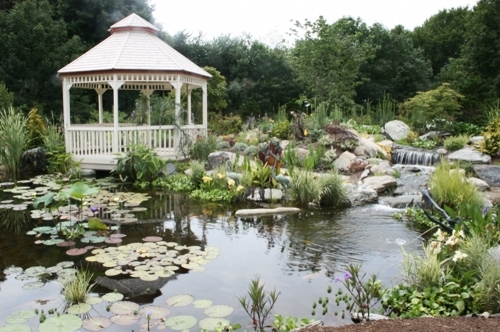 Escape to a gazebo overlooking a pond. Let your pond fantasy come alive. The beauty of a pond is all-year long.